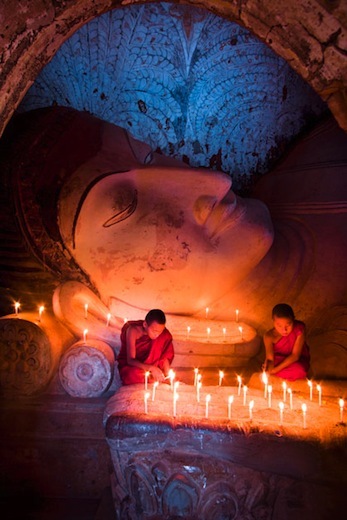 This image was the grand prize winner in Smithsonian Magazine’s Photo Contest in 2010. Over 4,500 photographs flooded in from all over the world—105 countries in all—to compete in five categories: Altered Images, Americana, The Natural World, People and Travel. Ultimately, a panel of judges on the magazine staff chose 50 finalists, and of those, they selected five category winners and one grand prize winner while Smithsonian.com readers voted for their favorite image online. 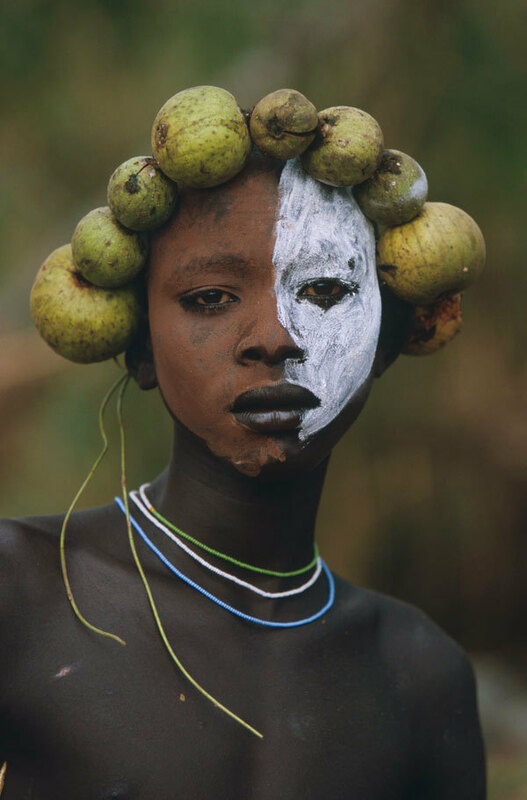 Tribes in the Omo Valley of Africa use natural body paint as well as leaves, branches, seedpods, fruit, seeds, horns, bones, and shells to adorn themselves and express their creativity. Click on the link to go to Inspiration Green to view some incredible body art.